There is something else going on that we don**Q**t know about. 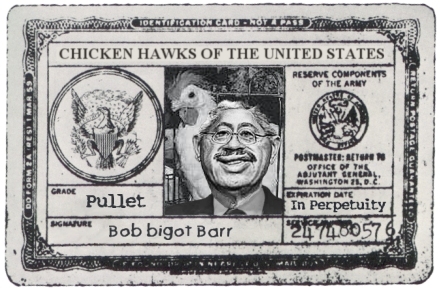 Bob Barr**Q**s resume, rise to LP prominence, LP candidate for the POTUS nom. and his very Republican lite positions has become a plot for a made for TV movie.